Best car buying experience i have had. No pushy sales . Car was as described . Will definitely recommend and use again in future. Fantastic service from Shaf from start to finish. The car was exactly as described. Excellent condition inside and out. Shaf kept in touch with me all the way through and arranged delivery. Perfect! Satisfied and trust worthy experience! 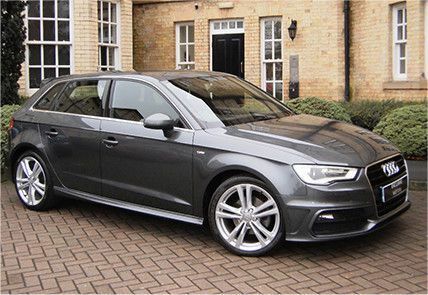 Exclusive motors were Easy to deal with, i felt confident buying the car and could tell they are very professional, i found the car of my dreams with exclusive motors and i am very pleased with the service all round! Nice guy, honest and told me everything about the car before I got there. Not like your typical salesman just a honest guy making a living. Excellent experience, very helpful friendly and patient salesman. Car was as described. Car as described vendor easy to deal with would deal again. Overall fantastic car buying experience. Felt very welcome upon arrival and Shaf was extremely helpful, professional and engaged throughout the entire process. Vehicle was exactly as described and very happy with my purchase. Would highly recommend Exclusive Motors to all. Had a good experience with exclusive motors let me look over all of the car and check everything with it and had plenty of time for me. Over all nice pleasant guy to deal with. This is probably the best experience my wife and I have had when purchasing a second-hand car - a warm welcome with generous hospitality having driven a long distance, guidance through the process of trade-in & purchase efficiently to a pleasing and successful outcome. Would be pleased to recommend and also use Exclusive Motors again. Very genuine seller. All his stock is well picked out, all really high spec and in very good condition. Really helpful and friendly. I'd recommend Exclusive Motors to everyone. Hope to do business again soon. Delighted with the service from start to finish. Accurate vehicle description and great communication throughout the whole process. My car was delivered on time as promised. Refreshing to deal with someone who is honest. Will definitely recommend Exclusive Motors to anyone looking for their next car. This has to be the most pleasurable car buying experience I’ve ever had . Swift , excellent service with a smile and the quality of their vehicles is incredible. I’d go out of my way to recommend this dealer. I’m thoroughly enjoying ownership of my new Audi. Amazing service! Will deffo be back! Had an awesome experience buying a vehicle from exclusive motors, looked after us from start to finish. 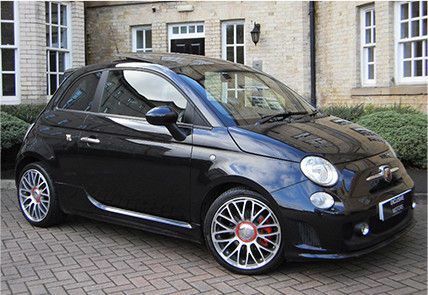 Will be deffo coming back when it's time to buy my next vehicle. Such a pleasant experience buying a car from exclusive motors. Shaf was amazing. Car was exactly as advertised. He even gave me some food to eat whilst we sorted the paper work out. True gentleman.Will be sending all my friends to him from now on. Thanks very much exclusive motors. Honest, friendly and very helpful from start to finish. Excellent seller, Shaf is very kind and helpful who would go that extra mile to make his customers/clients happy. Car is as described and I look forward to my collection and meeting again. Pleasure to deal with from the first call to handing over the keys to my dream car (SVR). Shaf was very helpful and patient with my constant inquires. Thanks again and will use Exclusive cars for my next car. 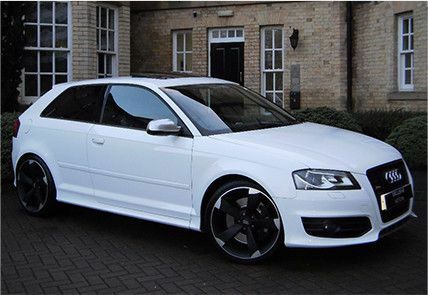 Just put a deposit down on a car that I test drove that day. Really helpful guy with alot of car knowledge, had all the documentation to prove the car was legit. The car was in excellent condition as the ad stated, all in all a faultless experience, and feel more than comfortable purchasing the car. The owner wasn't too pushy with terms of sale, and provided with a receipt for deposit (which was for my own peace of mind). Pick up the car next Friday and payment via my choice of method which again makes the whole experience feel more secure. 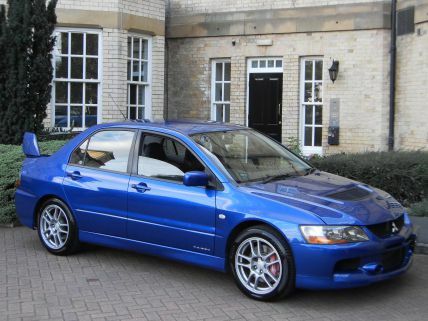 Feel lucky to of found such a spec of a car for the price and in such great condition! Honest and genuine salesman. Rarely see that these days so it’s refreshing to find. Quick and smooth deal with no hassle, definitely would buy from him again. Great personal service. Rare car and immaculate, very pleased with entire experience. This is a careful business that loves it’s products and looks after its customers. 10/10! 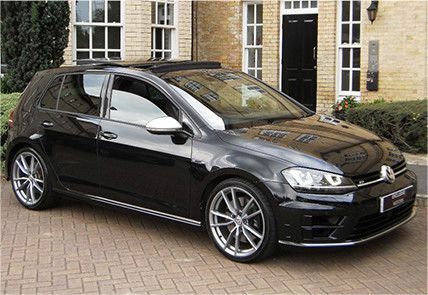 Having recently purchased a 2017 Golf R I am more than pleased to share my experience. Its a long trip from South Wales to Wakefield however having only spoken on the phone and not even inspected the vehicle I decided to pay a deposit and booked my train tickets. Sometimes you get a feel for things; I know you should never rely on feelings alone but this time I was going on gut instinct. I was met at the station and was made to feel welcome from the off and that welcome was continued at his home and by his family. Needless to say the car was just as I imagined and as he had assured me. A lovely example at a very fair price. This trader is a great guy, and proved reliable and fair and willing to go the extra mile to make sure I was happy and content with my purchase; never pushy but always informative and supportive through the whole purchase procedure. I highly recommend to all who may be nervous in placing trust in a car salesman, I wasn't disappointed and you won't be either. Excellent and very quick communication, I hope to deal again with you . Bought a great 640d today, the experience from first contact to driving the car away was first class. Shaf had everything in hand (even a small issue on my part with my private plate he offered the advice needed to resolve). Can't recommend him enough, gave me a px price over the phone with nothing but a detailed description and stuck to that price. Very knowledgeable about cars in general and seems to have a real interest in motors which is great to see. To sum up, great guy, great cars with great service. Would buy again and wouldn't hesitate to recommend friends. A complete pleasure to do business with; I would recommend Exclusive Motors to anyone buying (or selling) a car, without hesitation. From the initial call, through to the purchase, they were straight, honest and always happy to take a call or answer questions. Not buying from a dealership can sometimes raise concerns but they were more than happy to answer probity questions honestly and without embarrassment. 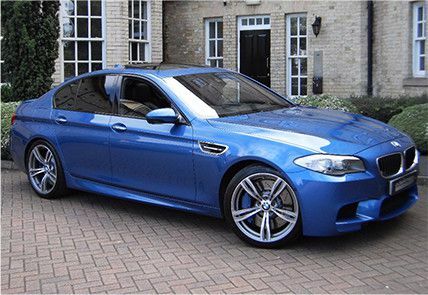 All Exclusive Motors cars look to be personally selected and despite knowing exactly what I wanted, it was reassuring to see that all other cars available were high-specification and beautifully presented. All minor cosmetic issues with the car I was purchasing were fixed to a high standard prior to me picking up the car (and some even before I put down a deposit). 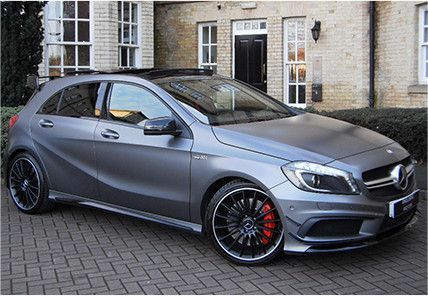 Overall a refreshing, pleasurable and straight-forward experience – I would definitely buy from Exclusive Motors again. Very honest, professional company. Dealer drove down from Yorkshire to Essex to show me the car -on a no obligation basis. Very helpful, keen to point out trivial defects such as minor paint blemishes so small I wouldn't have spotted them myself, polite, informative, friendly and appears to be - shock horror to use these words about a car dealer! - honest and honourable. If someone drives into my car and writes it off etc, I'd be happy to deal with him again. Great buying experience of a BMW 335d. Car was as described. Would definitely buy from Exclusive Motors again. Highly recommended. I travelled 380miles with little knowledge of who I was buying from so, I was relying on the reviews I read on the auto trader site, so here is my one. Excellent customer service from start to finish. The car is now home and I’m over the moon with it, Shaf was a pleasure to deal with throughout and I enjoyed my road trip down to collect it! I would highly recommend exclusive motors and would have no problem with dealing with them again in the future, thanks again! Excellent and friendly customer service. Told us everything we needed to know about the car. If your looking at buying a car and see what you are looking for on sale from Exclusive Motors stop looking and purchase straight away . Cannot fault Shaf and his excellent customer service and knowledge of his vehicles , genuinely nice and extremely honest and down to earth person. You will not find a better car dealer trust me.Purchased an Audi A5 from him from Ireland . Had not seen the car but Shaf answered all of my questions and provided me with all the information I requested and more . Went out of his way to put me at ease about purchasing a car I had never even seen.Transaction was seamless and a pleasant experience . I cannot recommend this company enough . From his knowledge of the vehicles to his unsurpassed customer service I will definitely be purchasing from him again in the future without a doubt. Very professional service from start to finish & far from the typical salesman. He has a great manner & I would definitely recommend Exclusive Motors. If he hasn’t got what you want he will find it! This chap is the real deal. A true gentleman and incredible honour (which is unusual in a car salesman). I bought a 2010 Porsche 911 Turbo from EM in 2012. It was a phenomenal car with only 8,000 miles and not a single defect. EM then sold this car for me and bought me an updated version on a 2014 registration. As someone who is very particular with cars, i wouldn't trust myself and will always trust EM to find my cars. In fact, i'm planning on asking EM to find my first ever GTR and i know whatever is recommended will be a car with high specification. Thank you for 2 wonderful motors. After looking for a car for some time, I found exactly what I wanted at Exclusive Motors. They were very helpful, friendly and most of all knowledgeable about the vehicle. There pleasant attitude towards the sale of the vehicle, was a breath of fresh air, there were no pushy sales techniques. I would highly recommend Exclusive Motors to anyone wanting a genuine, good value vehicle no matter what class it is in. Any cars I now need, I ask Exclusive Motors first! I was looking for RX7, and they happened to have a potential car for me. I was apprehensive at first, not knowing the dealership and this being a specialist car. I live in Cyprus so had to send a representative to check it out for me. I phoned the dealership to confirm that the vehicle I was interested in was still there, and I spoke with Shaf, who informed me that it in fact was still available. I said I'd like to send someone down and check it out, and he said, "Great. It'll be up front and ready for you when you get here." I can't say enough about Shaf as my sales contact. He was outstanding. No slick sales gimmicks, no pressure, no attempts at manipulative ploys. Just great, accommodating service. I ended up purchasing the vehicle I was interested in, for a price that I was comfortable with. No hassles. Just civil, relaxed negotiations. Shaf went above and beyond when I had questions! Gave me complete peace of mind, which we all know, is close to priceless. I recently bought a Fiat Abarth off him totally blind. He sent it to Cyprus for me and I was not disappointed. 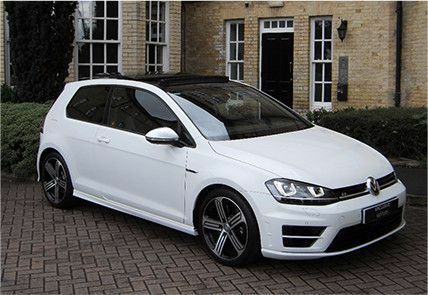 I bought a Golf R from exclusive motors. Given the size of the transaction I had been thinking about main dealer, but this car was exactly what I wanted. I travelled 3.5 hours to see it and it was exactly as described. Everything was done at my pace and it was a no nonsense straightforward transaction. I took the car home same day. The whole experience was a delight. Very professional car has been an absolute dream did me a very good deal delivered the car to my home can't recommend them enough I was so pleased to find an honest pleasant chap to deal with On my recommendation because I was so pleased with the service one of my friends has also bought a car from them and a second is in the process of buying a car as well Absolutely first class professional outfit 10 out of 10. Really honest chap that explained everything through on the phone and also prepared the car for me as well ( MOT/ service, refurbished alloys). He went out of his way to help.Would recommend all day long. Very pleasant experience buying my A45 from these guys. Shaf in particular was excellent throughout. I'm based in London so had to buy the car 'blind' - but Shaf made me feel comfortable and I never felt under pressure. The car was delivered to me in London at minimal cost and was in the precise condition described to me as handled and quality of the car are all 10/10. All of my experiences buying cars through Autotrader have been excellent but this is by far the best. Absolute fabulous Pleased beyond all expectations with the new car, seller was extremely helpful , even offered me a lift as he presumed I was coming down via train as we lived 80 odd miles away, genuinely cannot praise enough Quick Efficient Courteous What more can you ask for ? I'm so pleased to have bought from this company I genuinely can't express that enough, And we love the car. The whole process of purchasing from Exclusive Motors was a pleasure. They were very honest in our conversations and also very responsive. I would definitely recommend them and will be getting back in contact for my next car. 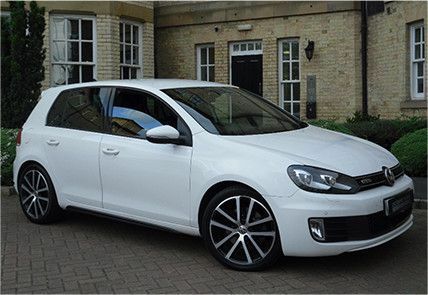 Very happy with my new Golf R! 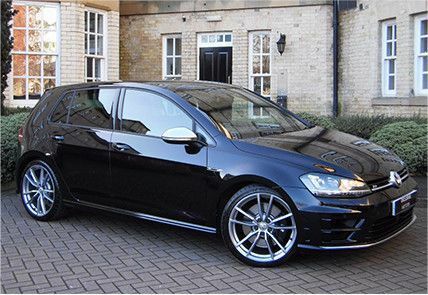 Bought a Golf R from exclusive motors in August 2017. Passionate about cars and a pleasure to do business with. Nothing was too much trouble to help us out. Would recommend to anyone. From start to finish I found the dealer excellent. What stood out for me, was that he contacted me about a month later to see if everything was ok. 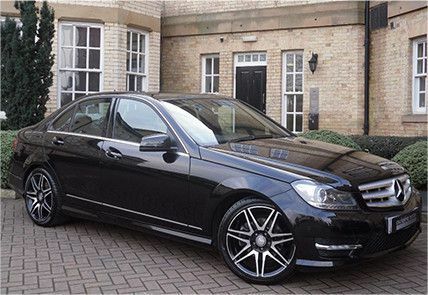 Exclusive Motors fantastic family run business, Very reliable and professional throughout, Fantastic Motors as always! Very supportive can always give him a call and give me brilliant advice on cars. 100% recommend anyone purchasing new or used vehicles exclusive motors is the right place to turn up to. Great experience Purchasing my GTD from them, will 100% purchase in the future and recommend others. Reliable,Professional, and dedicated in providing the best service possible! Very happy with my new hilux. Will be back for my next car. Exclusive motors did me a great deal to make it affordable. Very honest and genuine person. Car was as described and very nice too, which was good as I traveled 230 miles to view car. I would definitely go back and buy a car from him again. Thanks. Very helpful and friendly, would not hesitate to deal with again.